Dr. Rasmus Gjedssø Bertelsen joined ISDP as a Non-Resident Senior Research Fellow with the Sino-Nordic Arctic Policy Program in November 2014. Dr. Bertelsen is a Danish political scientist and International Relations scholar. He is the inaugural Barents Chair in Politics at the University of Tromsø-The Arctic University of Norway. Dr. Bertelsen does research on the place of the Arctic in global environmental and political-economic globalisation processes. He is therefore focused on the role of the Arctic in a transforming international order where Asia is reclaiming its historical economic and political weight. Where Asian powers see themselves as stakeholders in regions around the world, these powers are concerned with climate change and they have interests in energy security, raw materials supply and shipping lanes for continued economic growth. Dr. Bertelsen has studied political science at the Universities of Copenhagen, Iceland, Lausanne and Geneva. He was a Huygens research stipendiary at the University of Amsterdam. 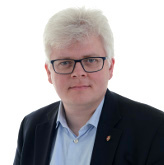 Dr. Bertelsen holds a PhD in International Relations from the University of Cambridge, during which time he was a visiting PhD candidate at Sciences Po. He was a postdoc at the Belfer Center for Science and International Affairs at the Harvard Kennedy School of Government funded by the Danish Social Science Research Council, the Kuwait Program at Harvard (Kuwait Foundation for the Advancement of Sciences) and the Dubai Initiative. Dr Bertelsen has also been a Japan Society for the Promotion of Science postdoctoral fellow at Tokyo Institute of Technology and United Nations University—Institute of Advanced Studies. Recently he was a postdoc and assistant professor of European Studies and International Relations at Aalborg University.